Proceco Rotary Table Washer. 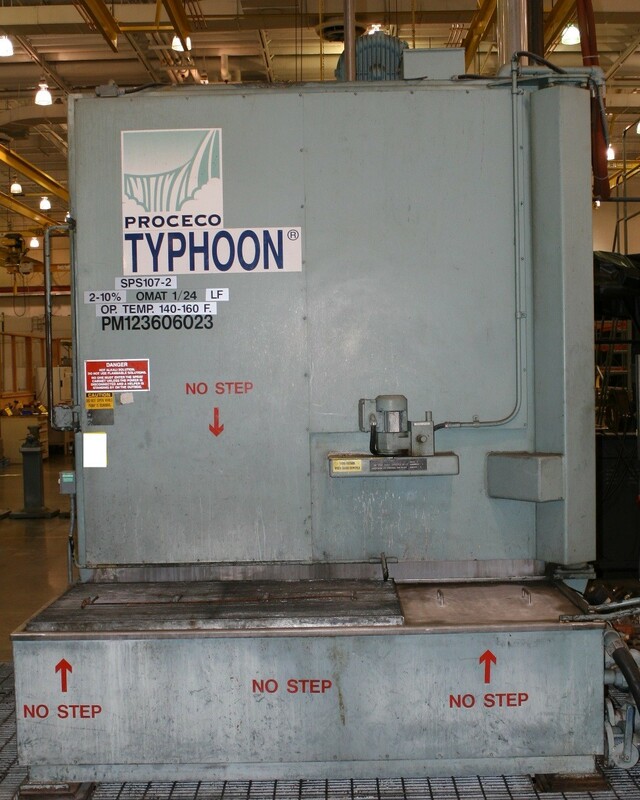 Standard Proceco “Typhoon” stainless steel rotary table washer with 2000 pound table capacity. 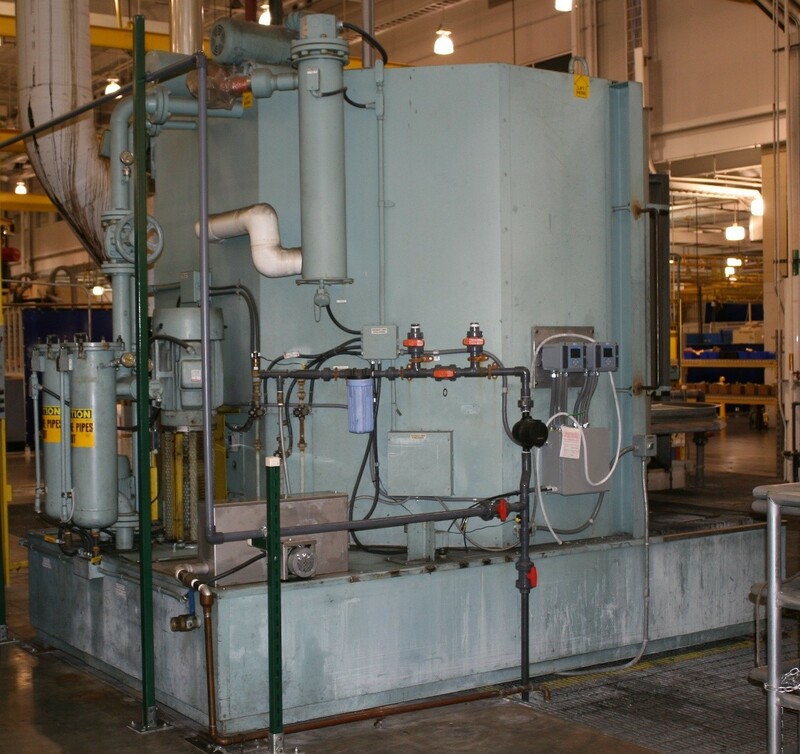 This washer has a wash stage, rinse stage and electrically heated blow-off stage. Wash tank is 600 gallons, rinse tank is 295 gallons. 25 HP wash pump, 360 GPM, 40 psi. 7-1/2 HP rinse pump, 115 GPM, 60 psi. Manual and drawings are included with this washer. Washer options include the following: Center Nozzle Pipe (CNP), Full Flow Filtration, Exhaust Blower, Oil Skimmer, Fresh Water Rinse, Oil Coalescer, PLC Controls, Stainless Steel Construction. Electrically heated with voltage 460/3/60/39 Amps. Model # HD 62-60-S-2000-CO-2-R-BO-SS and Serial # 96-224. Working dimensions of 62″ Diameter x 60″ High with external dimensions of 8’W x 16’H (11’H shipping) x 13’L. 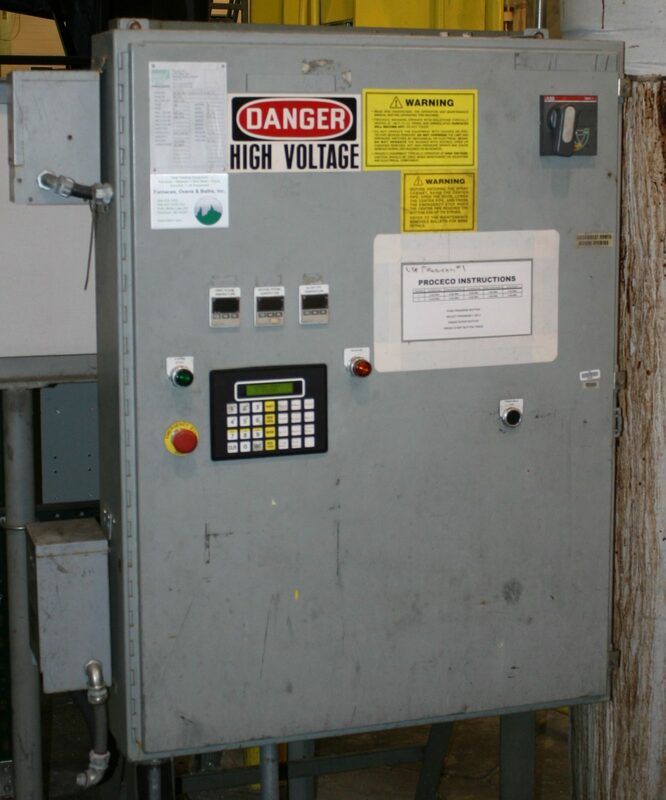 Controls Mounted and wired in a free standing panel includes an Allen Bradley SLC 500 PLC control with operator interface flush mounted to the door. There are three (3) digital temperature controllers, 1 for 1st stage, 1 for 2nd stage and 1 for blow-off stage. Excellent condition and available immediately.